This cleverly designed, cradle-shaped baby-bag is large enough to carry every necessary accessory. It is a functional big shoulder bag containing three internal pockets plus wallet and phone compartments. 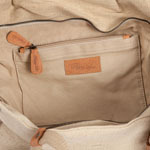 It is a fashionable accessory made from contemporary heavy duty canvas with leather trim. It’s also a flexible carrier designed with an extendable shoulder strap to easily slip over any pram and shopping trolleys. 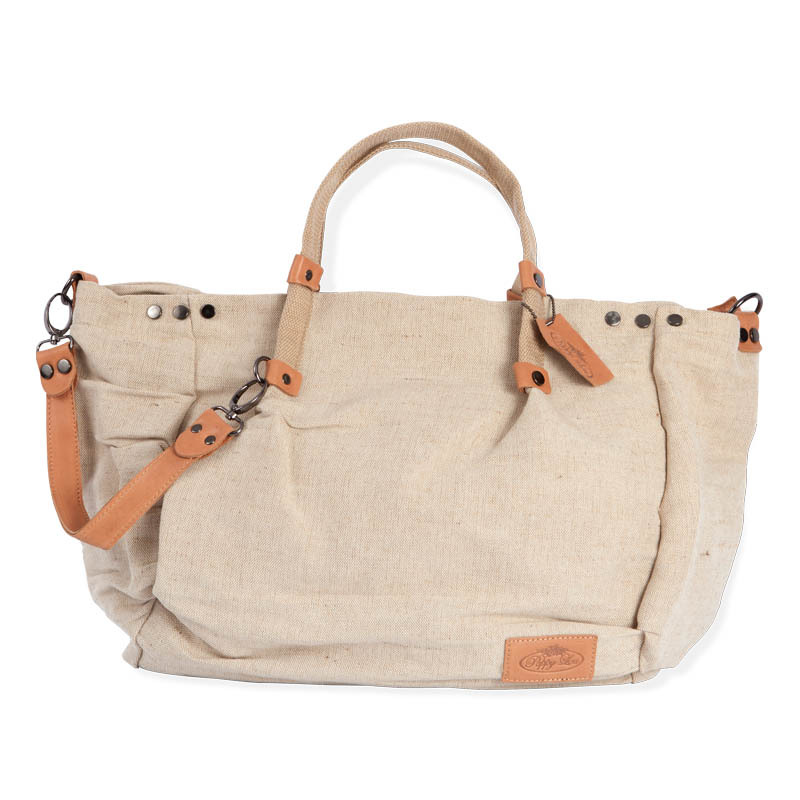 This large shoulder bag is perfect for that over night stay, big and roomy. • 4 internal pockets including wallet pocket and phone pocket.